What is the Difference Between UVB and UVA? 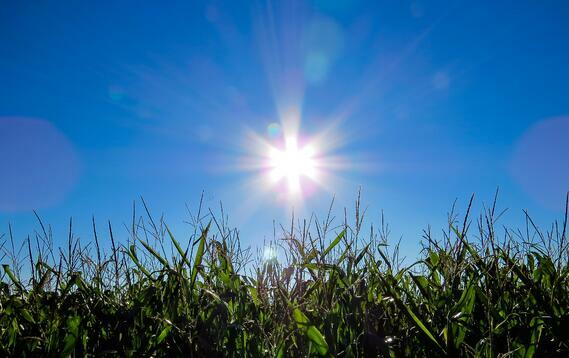 UVA and UVB are the two types of ultraviolet radiation from the sun. UVB rays cause your skin to redden and burn. They affect the superficial layers of the skin, whereas UVA rays penetrate the skin deeply. UVA rays are associated with premature aging caused by excessive sun exposure: wrinkles, sagging and photo aging. It is now believed that UVA rays are the main culprit of skin cancers as they exacerbate the cancer-causing effects of UVB rays. SPF stands for Sun Protection Factor. It’s measure of sunscreens ability to protect your skin from the sun’s UVB rays. It works by multiplying the amount of time it typically takes for your unprotected skin to start getting red (burnt) by the SPF. So, let’s say you have very sensitive skin that gets red after five minutes in the sun. A product with SPF 30 should prevent you from burning for 30 times longer, or 150 minutes. Of course, this is all theoretical and does not take into account whether you are swimming, doing an activity that is causing you to sweat or your physical location. The sun is much stronger closer to the equator. Sunscreen does not block UV rays from the sun — the product absorbs most of the UV rays before they get to your skin. They’re effective, but they cannot completely absorb all of the sun’s UV rays. You can think of sunscreen as a chemical barrier to protect your skin from the sun. Some people with sensitive skin may find that sunscreen products agitate their skin; however, there are now sunscreen products designed for sensitive skin that are fragrance and dye free. Sunblock creates a physical barrier from the sun. The product is thicker than sunscreen, creating a film on the skin that the sun’s UV rays cannot pass through. The active ingredients in sunblocks are different from sunscreens, meaning that the product may be harder to rub in. Sunblocks can be better for more sensitive skin as the ingredients are more gentle. The thickness of the product, although more gentle can block pores. This is not always ideal for acne-prone skin. Picking the best product for you is best done under the guidance of a dermatologist. Some products combine sunscreen and sunblock in one product, which can provide the benefits of both products. When Should I Wear Sunscreen or Sunblock? Of course, you should wear sunscreen or sunblock when you’re spending time outside, especially when the sun is most intense, between 10AM and 4PM. It’s important to remember that the sun’s UV rays penetrate the clouds, so you should protect you skin even on cloudy days — and in the winter months. The sun’s UV rays are just as strong in the winter months. And if there is snow on the ground, almost 80% of the UV radiation is reflected. In comparison, sand only reflects about 25% of UV radiation. It’s especially important to pay attention to your face and start a daily routine that includes sun protection. In the colder months, most of the body is covered when you go outside, leaving your face exposed. Use a sunscreen or sunblock product and don’t neglect the lips — melanoma can develop on the lips too, so using a lip balm with SPF 30+ is important. If you’re participating in winter sports like skiing or snowboarding, make sure that you reapply the products just as you would in the summer months — especially if you sweat. Most people underuse sunscreen and sunblock, using less than half of the recommended amount for optimal sun protection. Dermatologists recommend that an ounce of product should be used to cover exposed skin. This is just a rule of thumb — the amount should be adjusted based on body size. This means that an 8-ounce bottle of sunscreen should only last you eight applications--you should use an entire bottle of sunscreen in one day, if you are outside for 8 or more hours! If you’ve had the same bottle all summer, you haven’t been using nearly enough product. The most important areas to cover are your nose and ears, areas especially prone to severe sun burn. Reapply the product every two hours, or more frequently if you’re swimming or sweating. Many people wait until they’re outside to apply their sunscreen or sunblock. It’s recommended that the product is applied 15 minutes before going outside. Apply the product on dry skin and give it a chance to absorb before putting clothing on. Sunscreen vs. Sunblock: How Long Does Each One Last? Check the expiration date — most sun protection products are good for three years, which is actually an FDA requirement. If you’re using the recommended amount of product, a bottle won’t last you long. As long as your product is stored away from direct sunlight, it will not go bad or lose effectiveness in only a few months. Meaning it’s perfectly okay to buy products on sale at the end of summer for use through the winter months — just check the expiration dates. If a product doesn’t have an expiration date, write the date of purchase on the bottle for your reference. Should you notice a change in consistency, smell or color, throw the product away. One in five Americans will develop skin cancer at some point in their lives; however, skin cancers are generally curable, if caught early. 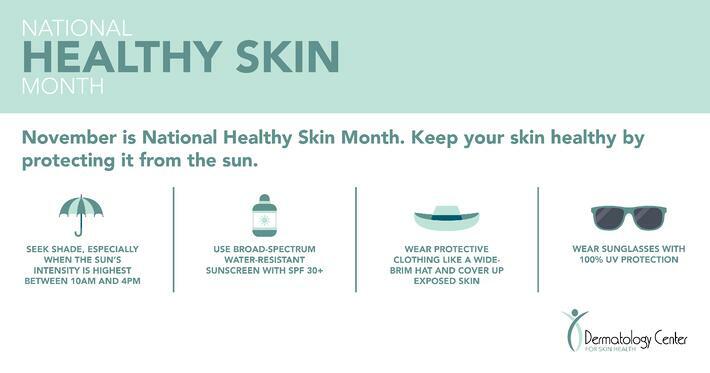 If you have questions about sun care products, or are concerned that poor sun care habits may have already increased your risk of skin cancer, make an appointment. We will help you establish a year-round routine for skin cancer prevention.